This is the timer unit. 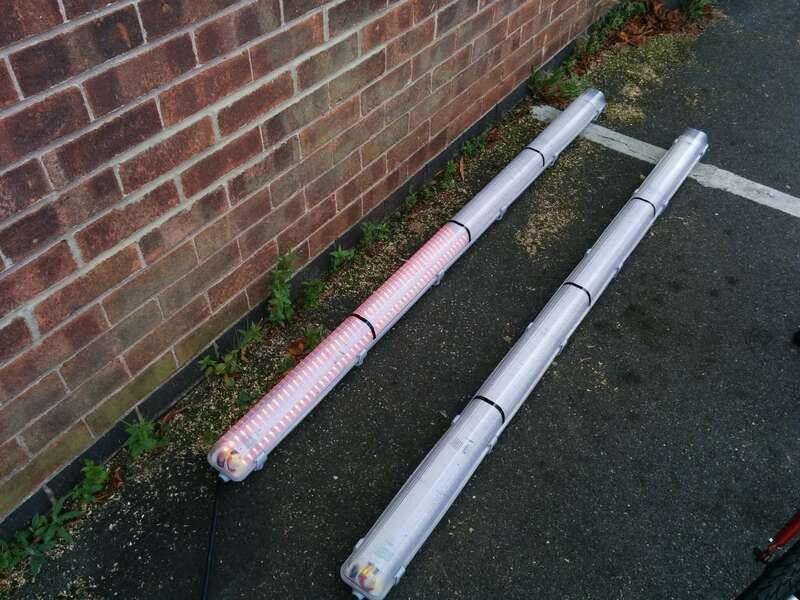 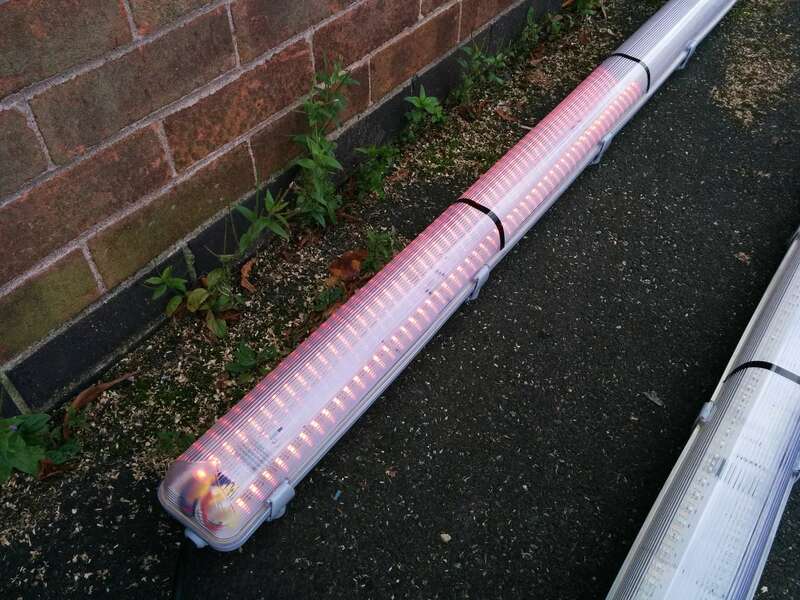 The two large LED units. 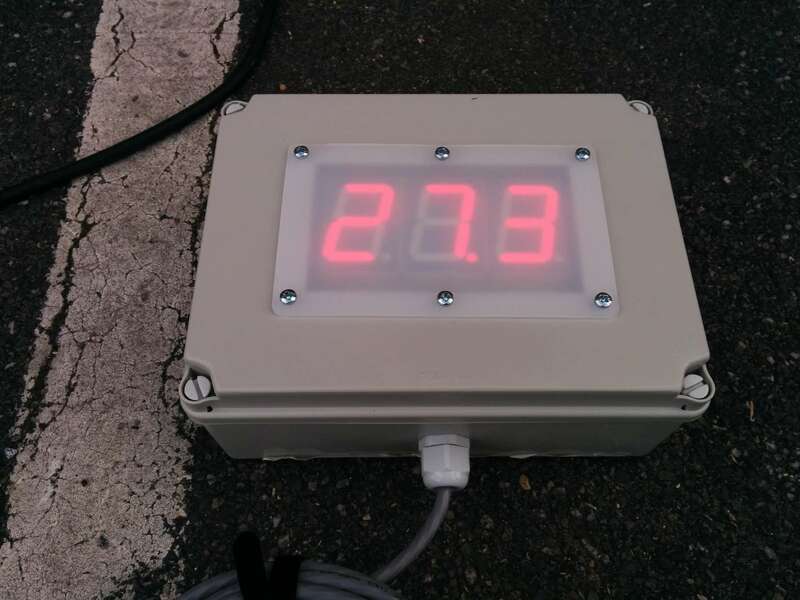 All the control is mounted within a heavy-duty metal enclosure. 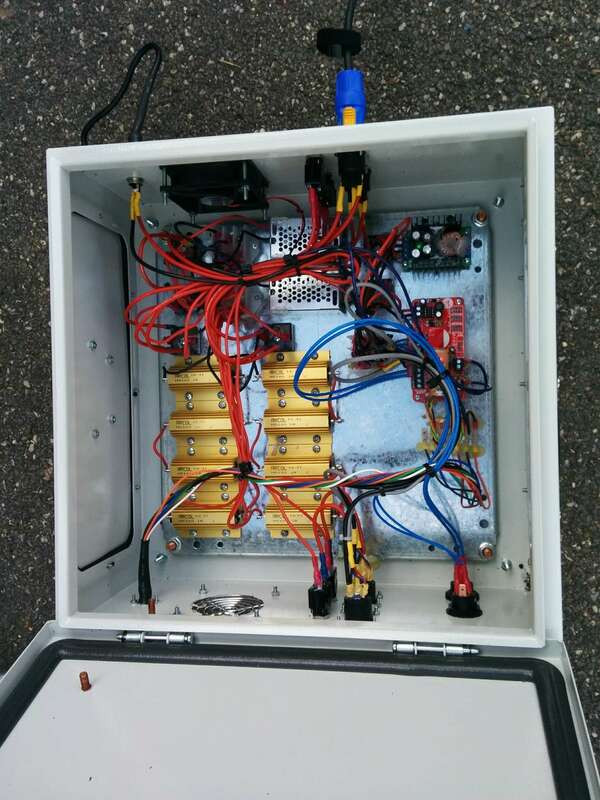 Inside are the control, regulation and dump-load resistors. 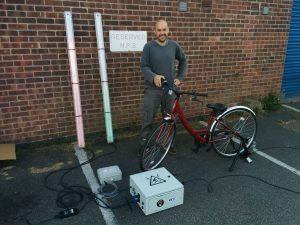 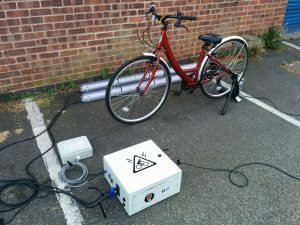 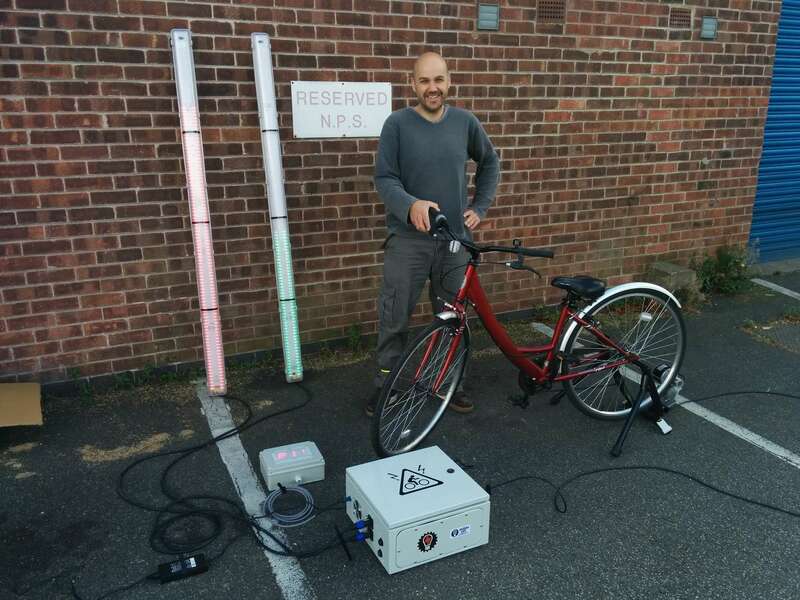 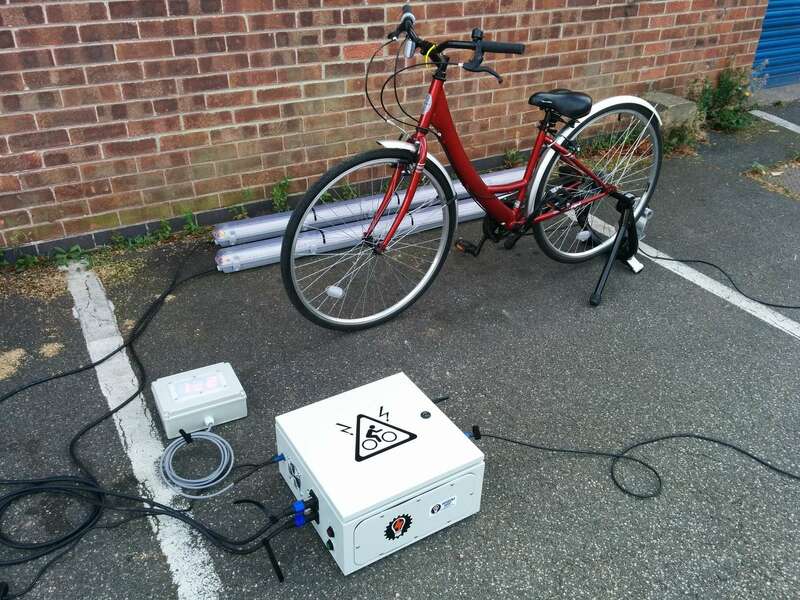 We have a two-bike energy challenge very similar to this one for renting for your event. 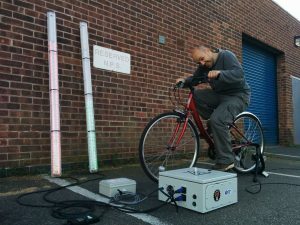 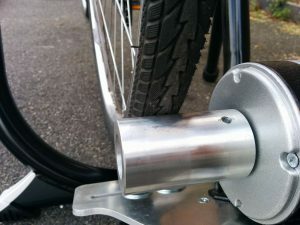 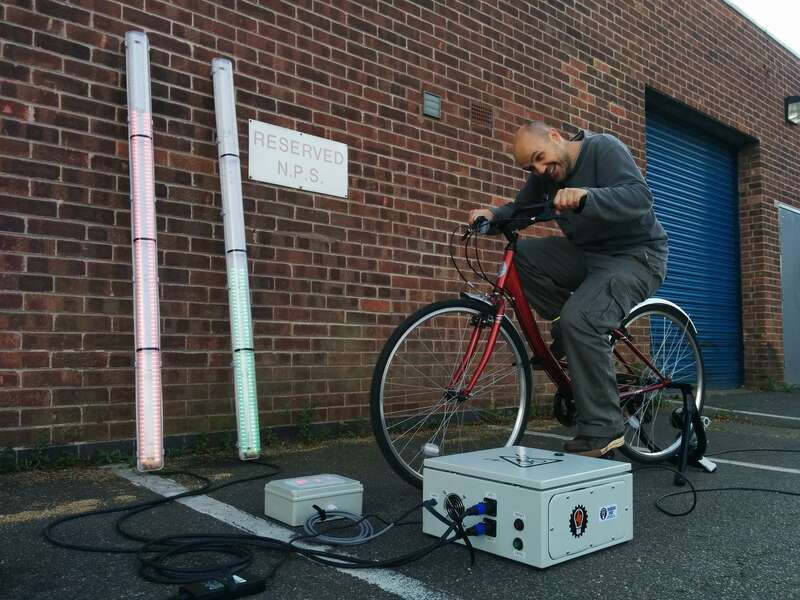 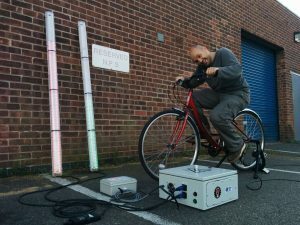 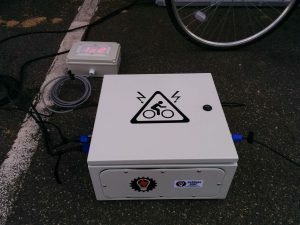 We can also build bespoke systems, such as this one, for your pedal powered idea or activity. Please just get in touch.